Back in June I travelled to Venice to visit (for the third time) the Venice Biennale. It was so nice to be back in this romantic city, see amazing Art, eat at Pizza Al Volo, the best pizza in the world and go back to the Peggy Guggenheim Collection (where I interned 6 (!) years ago). The trip took place just after I opened my Vine account, which I was all excited about. What a useful social media tool I thought to myself, especially for documenting and sharing art-related content. Looking again at the videos, and thinking again about the Biennale, I decided it would be interesting to share these memories with you and experiment a little bit with a vine blog post. Each Vine presents 6 seconds with my highlights from the Biennale’s national pavilions alongside useful details about them. 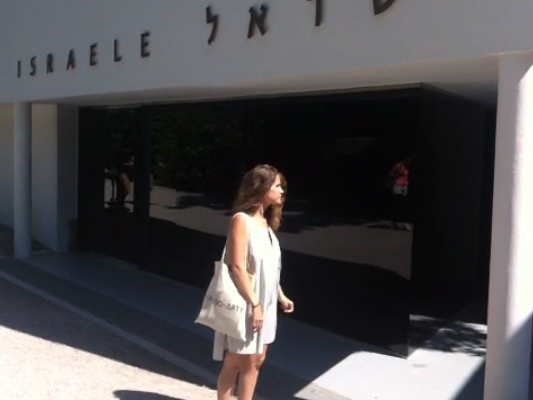 So here’s an Oh-So-Arty tour at the Venice Biennale in vine videos which were all taken by Fima Shlick (follow his beautiful work on Facebook).